Opening day. Mr. Martin Evans driving Des Forster's Simplex. 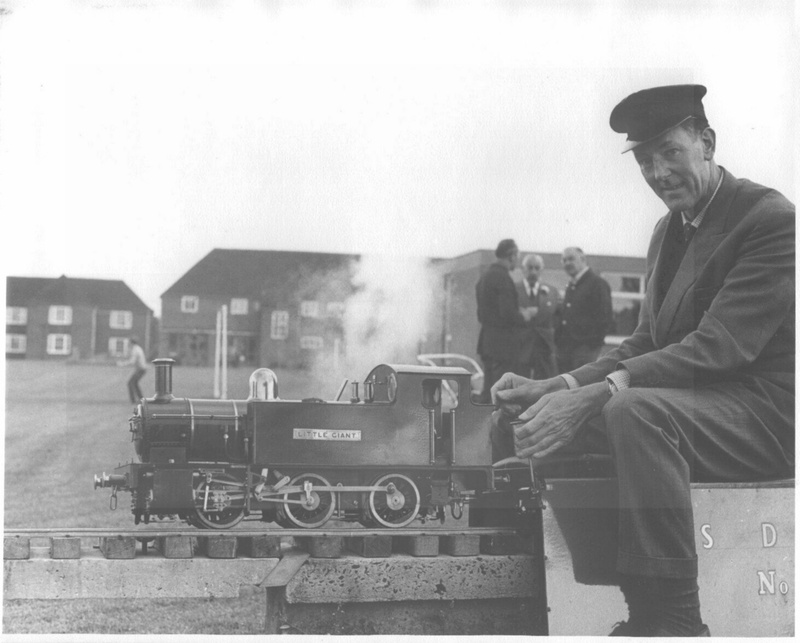 Des is the gentleman to the left of the group of three standing behind the loco.